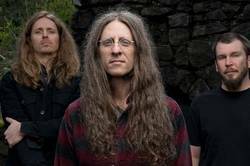 YOB, in addition to recently announced tour dates with Amenra and Voivod, will also head across the pond to play summer dates with Neurosis this summer. "We are deeply honored to be supporting Neurosis in Europe this Summer. We’ve said it before and will say it again: collectively, they are our favorite band. We cannot wait for these shows, to play for people who are in attendance, and watch Neurosis every night. It can’t get better than that," the band's Mike Schedit says of the upcoming tour. YOB most recently released Our Raw Heart (Relapse Records).